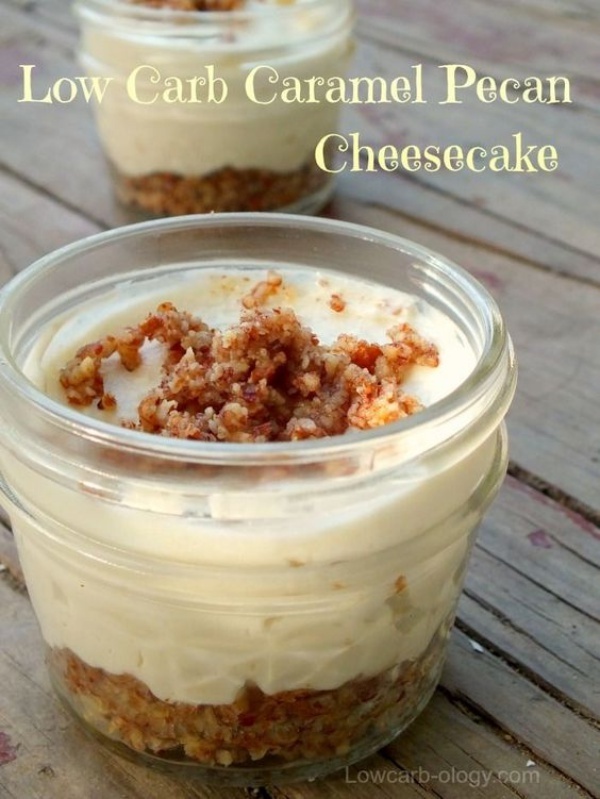 Low Carb Caramel Pecan Cheesecake By Marye from Lowcarb-ology. This low carb caramel pecan cheesecake recipe is ultra creamy and decadently rich. The buttery flavor of the caramel and tangy cheesecake is perfect with the toasted pecan crust!